News outlets are reporting that a congressional budget deal could end the oil export ban in exchange for extension of the Investment and Production Tax Credits (ITC and PTC) that support solar and wind energy. Here I want to lay out what ending the oil export ban could mean for markets, climate, and geopolitics. (I suspect Varun may weigh in later on the ITC/PTC extensions if and when details emerge.) Short version: Little immediate impact on anything; a possible boost on the order of a few hundred thousand barrels a day to U.S. oil production over the longer run; a factor of perhaps fifty smaller impact on carbon dioxide emissions than the Clean Power Plan and CAFE (fuel economy standards); and a mixed bag for geopolitics and trade talks. There is currently little if any incentive for U.S. oil producers to export crude oil even if the ban is lifted. Light sweet crude oil for January delivery in Northwest Europe (Brent) – the destination most commonly envisioned for U.S. crude oil exports – is currently selling for less than similar oil delivered on the Louisiana coast (LLS). It costs in the neighborhood of three dollars a barrel to ship oil from the U.S. Gulf coast to Europe. Spending three dollars in order to lose money is not something sane people do. (The spread could, of course, change, particularly during refinery turnarounds.) The result is that large sustained oil export volumes are unlikely to materialize soon. This should remain unchanged until U.S. oil production recovers to substantially above previous highs. U.S. refineries were previously able to accommodate U.S. production despite the export ban; they will presumably continue to be able to unless and until production rises above historic highs. And then what? To get a sense of the possible longer term impact of lifting the ban, take a look at the Energy Information Administration (EIA) modeling of what would happen to markets if the ban were lifted. In its reference case, which is its best guess of reality, lifting the ban has no impact on U.S. production or prices because U.S. refineries can absorb all the oil that the United States produces. In its high resources case, where U.S. oil resources turn out to be considerably more plentiful than the EIA currently estimates, it estimates that U.S. production would be 220 thousand barrels a day higher, on average, between 2016 and 2025, without the oil export ban than with it. The EIA modeling also projects that world oil prices (Brent) would drop by roughly a dollar on average over the next decade, while domestic oil prices (WTI) would rise by about four dollars on average over the same period, if resources were abundant and the ban were lifted. The EIA is of course fallible. But these numbers comport well with basic intuition. Were the ban to remain in place, U.S. oil could still make it to world markets if demand were there; it would just need to be refined and exported as product (gasoline, diesel, etc. ), which is already legal. Refining light sweet crude oil costs a few dollars a barrel. Domestic prices would therefore need to be a few dollars lower with the ban than without it in order to make the economics of exports work. It’s tough to see how a few dollar difference in oil prices would alter domestic oil production by more than a few hundred thousand barrels a day. (The studies that claim much larger consequence for oil production assume that domestic prices can detach from international ones by twenty dollars a barrel or more without prompting any investment in refining capacity; I find that sort of departure from rational profit-seeking incredibly unlikely.) And an additional few hundred thousand barrels a day on the global market shouldn’t lower world prices by more than something on the order of a dollar a barrel. That’s basically the same as what the EIA model says. All of this has consequences for climate change too. Let’s use the EIA modeling again. In the reference case, lifting the ban has essentially no impact on production, prices, or actual exports. That means it has no impact on carbon dioxide emissions either. What about in the high resource case? The EIA estimates that U.S. production rises by an average of 220 thousand barrels a day over the next decade. This will be offset in part by lower production (as a result of lower prices) elsewhere. 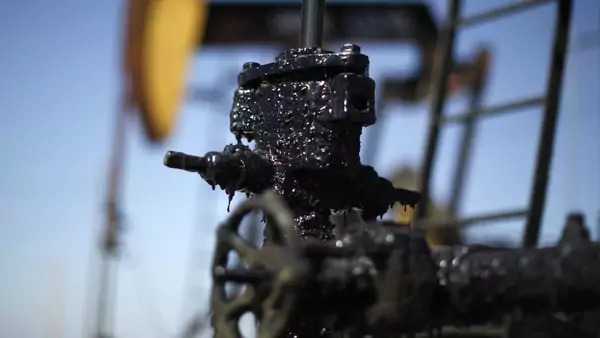 It’s reasonable to assume that the offset is on the order of 50 percent of the increase in U.S. production, which leaves us with a net increase of about 110 thousand barrels a day, or about 40 million barrels a year. If you figure a barrel of oil, when produced, refined, transported, and consumed, generates about half a ton of carbon dioxide emissions, this works out to about 20 million tons of additional carbon dioxide emissions annually. The number could be lower if the international production response was stronger than I’ve assumed. To put this all together, assume that there are 50/50 odds of being in the reference case world or the high oil resource world. (Alternatively, one could imagine that we’re in the no-exports world for five years because of weak global demand, and then in a modest-exports world after that.) Then, on average, we’d expect 10 million tons a year of additional carbon dioxide emissions on average over the next decade. Now put that in context: Ten million tons is roughly 0.2 percent of annual U.S. emissions. The Clean Power Plan (PDF) is estimated to reduce U.S. emissions by about 240 million tons a year by 2025 (and about double that by 2030). The fuel economy standards (CAFE) are estimated to reduce U.S. emissions by about 320 million tons a year by 2025 (and by about 170 million tons a year on average between 2016 and 2025). These policies dwarf the impact on carbon emissions of allowing oil exports. What about the impact on geopolitics? Allowing oil exports shouldn’t hit world oil prices much. The price collapse over the last year has far bigger consequences for oil exporters’ budgets than removing the oil export ban would. Allowing oil exports would, however, marginally strengthen the U.S. position in arguing for more liberal energy trade worldwide. It also would be welcomed by allies who believe (usually without justification) that access to U.S. oil will improve their national security. On the flipside, several European countries were hoping to gain access to U.S. oil exports though a Transatlantic Trade and Investment Partnership (TTIP). This prospect would have given U.S. negotiators some leverage to get other concessions in return. Allowing oil exports now would retire that card. An oil-exports-for-renewables-tax-credits deal looks likely to be a win-win. (I’ll reserve final judgment pending details of an ITC/PTC extension.) Removing the oil export ban is good policy. Supporting zero-carbon energy innovation, including through appropriate deployment subsidies, is good policy. Readers of this blog know that I’ve been arguing for a “most of the above” energy and climate strategy that supports some fossil fuels and some zero-carbon energy for several years. Congress has been too deadlocked to make the sorts of deals such a strategy prescribes. But the rumored budget deal looks like it would fit the “most of the above” approach nicely.